Spanish white tuna from the Cantabrian Sea. 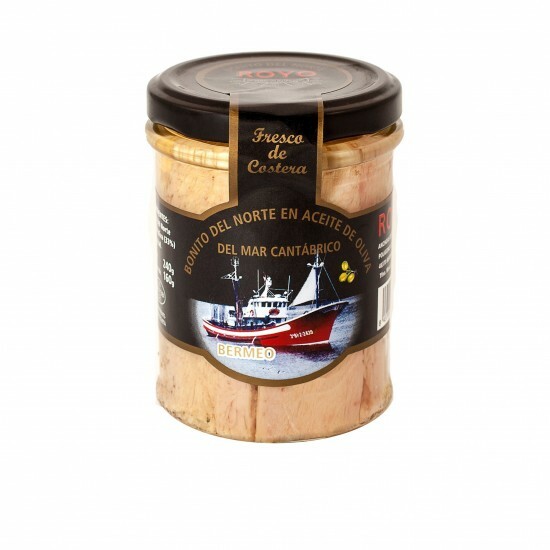 This Spanish white tuna is fresh from the Cantabrian Sea. Individually caught using traditional fishing techniques that do not harm the marine ecosystem or other species. Venta de Preserves Spanish White Tuna ROYO online en España, ofrecemos excelentes precios para comprar Preserves Spanish White Tuna ROYO en España, tienda online de Preserves Spanish White Tuna ROYO en Bizkaia.